We’re looking for a dynamic problem-solver to join our Customer Experience Team. As a Support Operations Specialist you’ll work closely with our clients to train, troubleshoot and enable them to deliver amazing events with our event tech platform! Guide customers through the process to prepare and publish their mobile apps. Review mobile app submissions ensuring all necessary content and adherence to individual app store rules. Coordinate contact with to ensure timely delivery of their technology and communicate updates as needed. Implement tracking for which apps are currently in which stores, when maintenance agreements expire, certificates and credentials required to build the apps, current app revision in stores and dates of updates. Work together with our Sales and Customer Experience team to provide internal support and knowledge regarding the support process. Able to prioritize tasks based on needs of client. Monitor and report on app approval times, client app submission rate, late submissions, reasons for rejection and resubmissions. Ensure that any potential missed event-date deadline is addressed proactively. Create and maintain documentation that pertain to all parts of the native submission and approval process. Other technical support duties as required like support solution integrations, ticket escalation, bug review, testing, etc. Provide coverage and assistance to Frontline team as needed, including alternating weekend coverage. An empathetic desire to help: For you, a new inquiry isn’t a just case to close, but an opportunity to understand someone’s story and make their life better. Our purpose as a company is to help event planners thrive. A deep understanding of software, the web, and mobile technology: You won’t need to know how to code, but terms like HTML and CSS shouldn’t be foreign to you. You can quickly learn complex procedures, troubleshoot potential bugs on the fly (pun intended), and visualize customers’ screens from their description alone.Prior customer facing experience: Whether it was building a rapport with customers at Starbucks/Apple, or working in a customer-centric call centre, you must have experience working with customers. Strong interpersonal skills - ability to work with people with a variety of skill sets. Can you make good choices that serve both the customer and company? We need folks who are passionate about delighting and retaining customers. What Will You Get From EventMobi? A great culture with much more along the way! 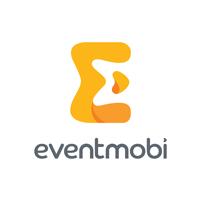 Want to Learn More About EventMobi? EventMobi is changing the way event planners create, market and manage their events, as well as how attendees around the world experience conferences and trade shows using their smartphones and tablets. Clients like Motorola, Ralph Lauren, Nestle, and Intel have used EventMobi to enhance the attendee experience at their events. We're also focusing on growing EventMobi the right way, having won awards for Canada's Top Startup Employer, Best Event App Worldwide, and recognized under the Fast 50 and Fast 500 (Fastest 50 growing companies in Canada, and 500 in North America)! At EventMobi we get a kick out of creating amazing experiences for all of our clients and ensuring maximum ROI for their organization from their use of our products. Everyone from our CEO to our developers is focused on the success of our customers at EventMobi. EventMobi is a place where you will be encouraged to learn everyday in order to enhance your skillset and expertise and grow as a professional in your field. EventMobi welcomes and encourages applications from people with disabilities. Accommodations are available on request for candidates taking part in all aspects of the selection process.